Who is Mr. Khalil Mamoon? Khalil Mamoon is a hookah manufacturer from Cairo, Egypt. 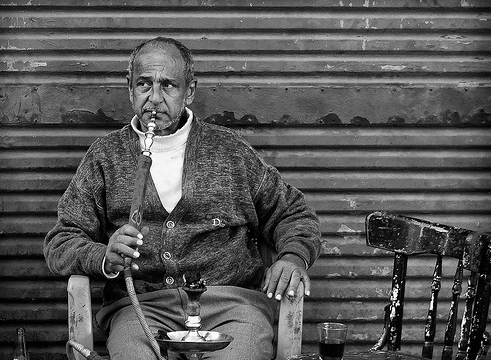 For more than 50 years, Khalil Mamoon has been producing hand-made hookah waterpipes. A tradition for the past 500 or more years, waterpipe smoking is a long-standing cultural activity across Middle Eastern countries, and it’s also now spreading to other countries like the U.S., UK and Australia. Instead of smoking tobacco through a filtered cigarette, waterpipes, or hookah pipes, pass vaporized smoke through a water bowl, which moves upward through the hookah to be inhaled. Nicotine-free varieties are preferred by Egyptian adults, whereas younger hookah smokers are drawn to fruit-flavored options. Used for centuries in Egypt and other countries in the Eastern Mediterranean Region, Khalil Mamoon hookahs were born out of cultural traditional. Egyptian families use them, they are the center of university student life, and their use characterizes every aspect of social situations. Hookahs are associated with socializing and leisure activities, and it is more acceptable for women to smoke than cigarettes. Positive beliefs about hookahs are also attributed to its taste and smell. Its beneficial social-cultural associations far outweigh any concern for the harm related to tobacco use. 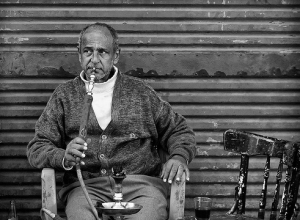 Additionally, Egyptians and other Middle Eastern societies don’t view hookah smoking as a sin, whereas cigarette smoking is viewed as a “haram” (a forbidden activity). Therefore, hookahs don’t appear to conflict with religious views or beliefs. Before manufacturing hookahs, Khalil Mamoon specialized in restoring antiques. He then turned his attention to collecting and then manufacturing authentic hookahs. The third-generation family business is thriving due to its commitment to authenticity, craftsmanship, unique features like the waterpipes’ hoses, and its renowned ultra-wide, easy draw. Khalil Mamoon hookahs are fusion-welded and handmade in Egypt. A sought-after traditional waterpipe, Khalil Mamoon hookahs feature a wide variety of intricate, unique designs. Artisan craftsmanship make each hookah a one-of-a-kind, constructed according to the most stringent of standards. A stainless steel, brass, or copper tray rests within the strong stem, offering a traditional, hand-made, rustic look. The hardy tubing and ultra-strong welding produces a durable waterpipe. The hoses have a bigger bore and wider body than other pipes, and therefore allows users to generate an ideal airflow. The handcrafted hookahs feature intricate designs and surprising attention to detail. As a result, no two hookahs are alike, a feature which makes the waterpipes highly elusive and attractive to users across the globe. The hand-painted waterpipes have slight variations, but their custom look is based on centuries of hookah-making traditions and craftsmanship.